I’ve been fortunate to be involved in a variety of full-time capacities (admin/coaching) in post-secondary athletics since 2001. Each experience fostered learning and growth and the opportunity to face new challenges. Along with that, I’ve been blessed to work with many great people. 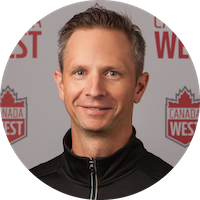 I started in the PACWEST conference and Canadian Collegiate Athletic Association (CCAA) in my early years, and now get the opportunity to work with our 17 Canada West members, and our colleagues in the other member conferences, along with U SPORTS. My favourite part of my job is working with our team in the Canada West office – it’s a very talented group. My wife, Melanie. She’s allowed me to pursue my passion and has been very supportive along the way! 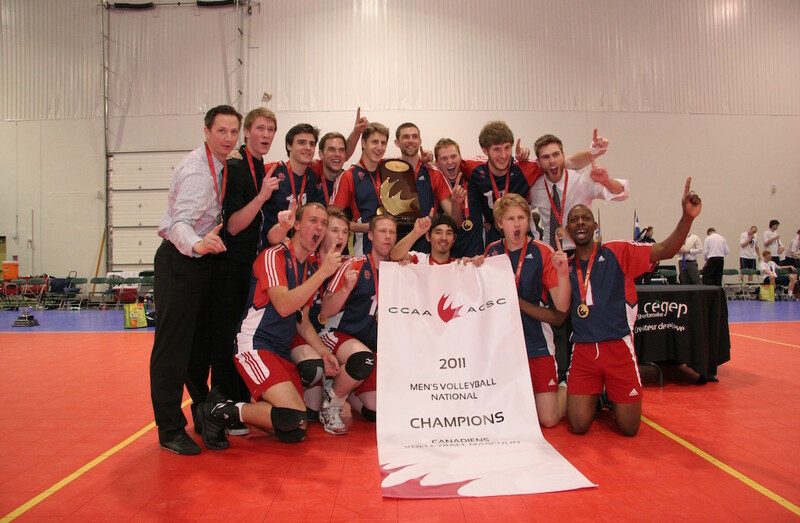 Winning the 2011 CCAA national championship in men’s volleyball as head coach at Columbia Bible College. 4. How would you define a Canada West student-athlete? 5. 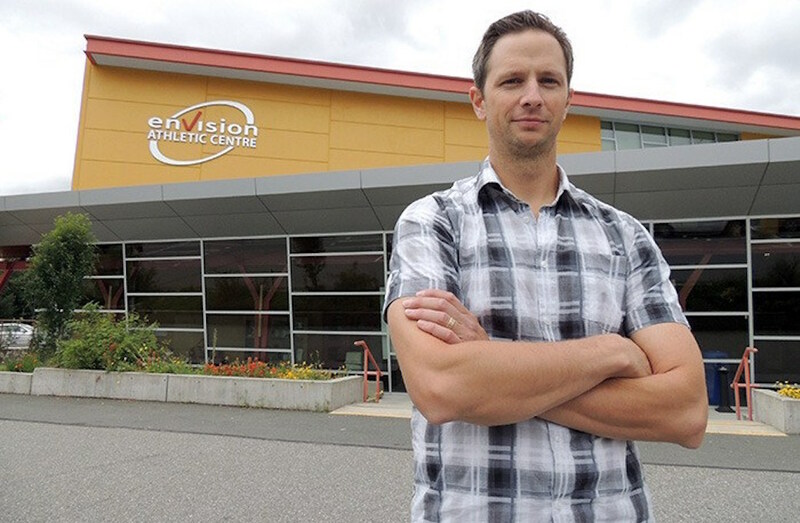 What does success look like for a Canada West university athletics program? 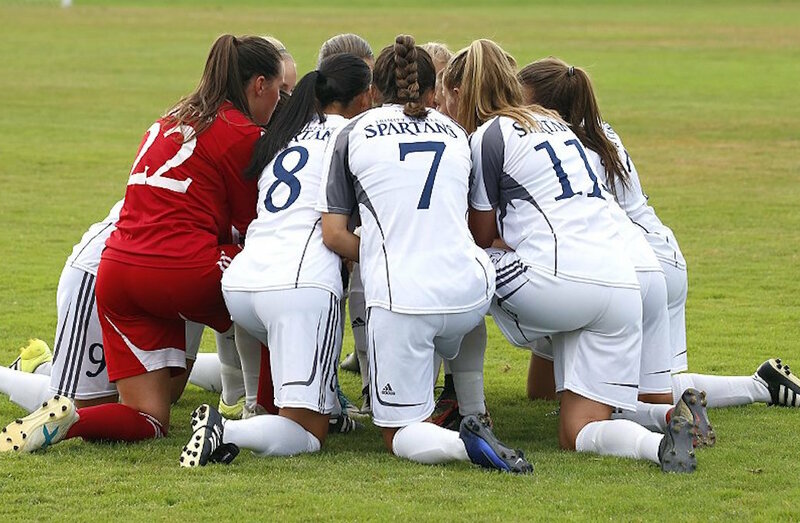 Each athletics program defines what success is for them. For me, a successful program is one that embraces a culture of excellence, in athletics and academics. Success isn’t given to you – it must be earned. Canada West is unique in that we are serving 17 member universities across four provinces. Working without a central CW office forces us to deliver exceptional service to our members and student-athletes remotely. Growth in new revenue generation to support our members and student-athletes. Wayne Gretzky. As a kid who grew up in Alberta rooting for the Oilers, my boyhood idol was Gretzky. I tell my kids about him, how he played the game and how even he, as one of the greatest players, had to endure the process of failure to learn what was required to win at the highest level, and eventually lead his team to a first Stanley Cup. I’d love to just listen to his stories. I would say that you’re missing out and that if you can’t attend a game, to purchase a subscription on Canada West TV. I enjoy time with my family. 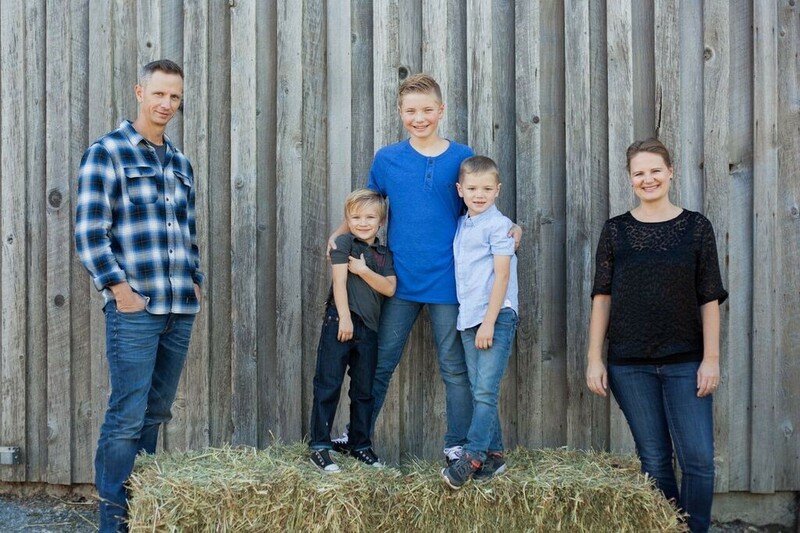 Our three boys keep us busy with their activities – they play hockey and you can usually find me at the rink on weekends helping, or coaching a team. I also enjoy getting out to my parent’s ranch in Southern Alberta and jumping on a tractor, or working with livestock.